The Vatican has sent a top cardinal to the secretive Bilderberg Group meeting in Turin to deliver a message to the global elite from the Pope. This year’s summit will be attended by Pietro Cardinal Parolin, the Vatican’s Secretary of State. 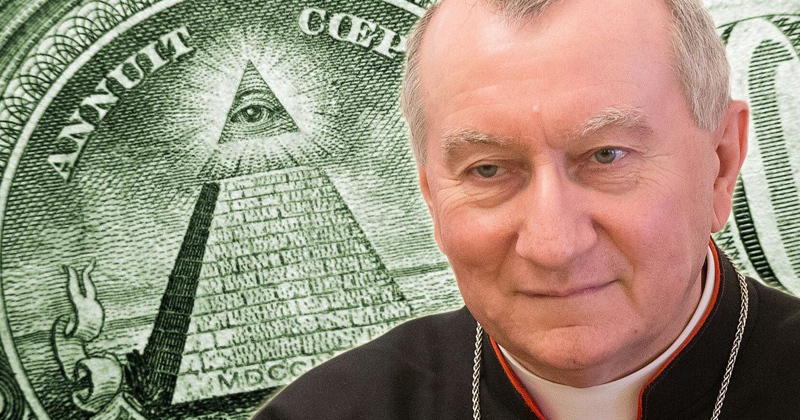 Given Bilderberg’s kingmaker legacy (the group has welcomed politicians before who have gone on to become heads of state), some are wondering if Parolin’s attendance could indicate he is in line to be the next Pope. “The cardinal is one of the most powerful Curial officials and has been regarded by Vatican watchers as positioned to succeed Francis,” reports LifeSiteNews. Pope Francis has made numerous statements and backed several causes that are in line with the worldview shared by globalists at Bilderberg. He has criticised the Brexit vote, compared Donald Trump to Hitler and warned against the rise of populism in Europe. Pope Francis has also repeatedly urged European countries to take in migrants from predominantly Muslim countries. Catholics have also expressed alarm about his liberal views on abortion, gay marriage and the existence of hell, while also expressing amazement at his comparison of ISIS to Jesus Christ. The Pope’s activities have stoked concerns amongst many Catholics, who worry that his allegiance lies not with the church but with the global political elite. Parolin himself has also caused concern amongst many Catholics as a result of his behaviour. “Parolin has asserted that Pope Francis’ teaching in Amoris Laetitia represents “a paradigm shift” for the Church. He has been criticized by Chinese Cardinal Zen for the Vatican’s “suicide” deal with China. And he was involved along with the Vatican in the hire of a pro-gay law firm that sought to shut down a Catholic website critical of Pope Francis,” writes Dorothy McLean. As we reported on Tuesday, the number one topic of discussion at this year’s secretive Bilderberg confab will be the rise of populism in Europe, following the election of a populist, anti-mass migration, eurosceptic coalition government in Italy.